Welcome! 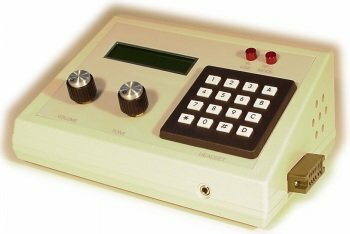 Northeast Innovations manufactures transcription stations, dictation stations, telephone test equipment for OEMs, ringing generators, and other related electronics products. When you have two telephones, you can't simply connect them together and have them work. You need to have some kind of telephone company service in order to use the telephones. 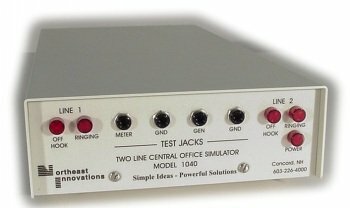 Northeast Innovations offers you another way of connecting those two telephones, and that is by plugging them into the back of a Model 1040 Central Office Simulator. Meet the Northeast Innovations Universal Station, a versatile and programmable desktop unit used for transcription and dictation.